Home » News » Watsdachances of Chad Brown Winning Flower Bowl? Watsdachances of Chad Brown Winning Flower Bowl? : Quantity matters, especially when the stable is full of quality horses in the first place. Trainer Chad Brown entered five different horses (one of them “main track only”) in the Flower Bowl Stakes (GI) at Belmont Park, scheduled to be run at 10 furlongs on Saturday. The chances of Brown winning this Breeders’ Cup “Win and You’re In” race for turf fillies and mares are excellent. According to BRIS, Brown wins at a 25 percent clip for the current Belmont meet. His four turf entries are Stephanie’s Kitten, Regardez, Watsdachances and Danza Cavallo. Interestingly, his dirt entrant Rosalind owns a better record on turf and never won one dirt race yet. The connections must wish to pick up an easy stakes win if half the field scratches because of a surface switch. Brown’s most likely Flower Bowl winner, Watsdachances, comes off a win via disqualification in the Beverly D. Stakes (GI) at Arlington Park. The win meant Watsdachances already earned a berth into the Breeders’ Cup, which might come as a concern for bettors who believe horses may not be primed with a spot secured in the big event. In her other two starts this year, she ran great as well finishing second to Strut the Course at Woodbine and capturing the Gallorette (GIII) at Pimlico. Stephanie’s Kitten comes into this race off a runner-up finish via disqualification in the Beverly D. Some red flags appear in her form. Two and three races ago, Stephanie’s Kitten had help from the rabbit Kitten’s Queen and finished behind her rabbit each time. In addition, the betting public consistently respects her, meaning finding value is not possible. 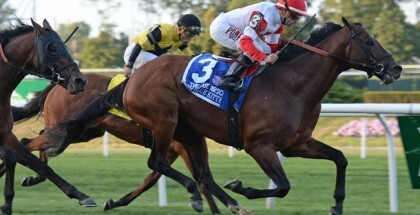 Coming off a fifth in the Diana (GI) at Saratoga Race Course, she remained at low single-digit odds for the Beverly D.! One post position off the rail, Regardez steps into Grade I company after finishing third in the Glens Falls (GIII). Considering she failed against Grade III company, a win here seems like a challenge. At least, she gains a better turf jockey in switching from Jose Ortiz to Joel Rosario and offers value. The outside filly Danza Cavallo just ran eighth in the Ballston Spa (GIII). Before that, she finished 10th in the Waya (GIII) and a close fifth in the Gamely Stakes (GI) at Santa Anita Park. Danza Cavallo’s big speed figure on the BRIS scale came in her American debut at Aqueduct last fall, when she finished second in a Grade III event and earned a 112 number. This shows how grass figures hold less meaning. 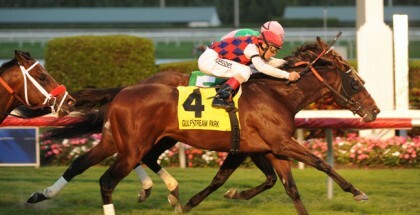 Nevertheless, Javier Castellano picks up the mount and gives great turf rides. This race probably will not move to the main track, even with rain. In general, racetracks do not like to switch surfaces for their big stakes races, especially one with Breeders’ Cup implications. If it does move, Rosalind might win because a lot of these fillies are not meant for dirt, while Rosalind at least proved competitive in a couple of those main track starts. Besides “Team Brown,” attention will be given to the European shipper Curvy. No one really knows if an overseas invader can duplicate her form to a new continent. They apply Lasix for her North American debut though, and her European form shows higher-class stakes races, both good signs. European invaders tend to get overbet. Americans respect the Euro form quite a bit when they come over here, although ironically American horses become overbet when they race overseas. Watsdachances looks best out of the home contenders and should give Brown a win. If not, expect Curvy to take home the prize. 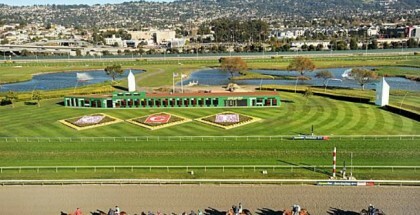 Beyond Curvy, the race becomes more open, but bettors will not go wrong taking one of the longer-priced Brown starters.